Traditional powerpack designs focused on systems that had the capacity to deliver maximum performance, even though it may only have been for a fraction of the total cycle. Today there is a greater emphasis on reducing energy consumption and noise emissions. Using Sytronix (Smart interplay of hydraulics and electronics) variable-speed pump drives can address these issues by combining the advantages of Bosch Rexroth Technologies: reliability of high-performance hydraulics and energy-efficiency and dynamics of high-performance drives and electronics. Sytronix drives combine matched electric motors, hydraulic pumps and VFD’s, which has potential of significant energy savings and considerable reduction at a cost that provides an attractive return on investment. By integrating the advantages of hydraulics with control intelligence of electric drives motor speeds can be continually adjusted to match the consumer’s power requirement. 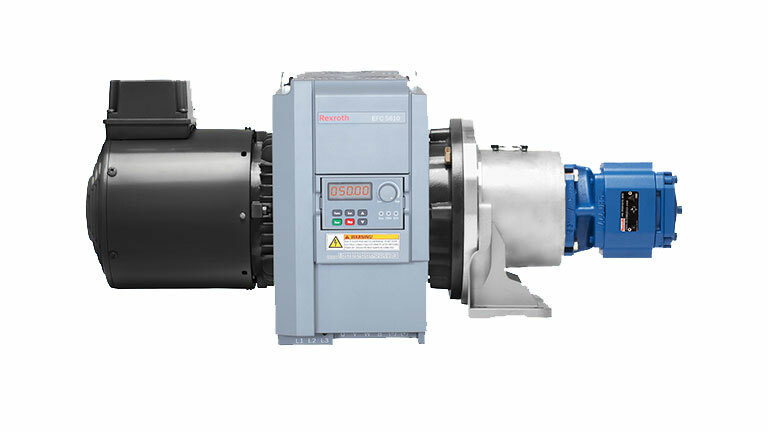 The drive speed of the pump is reduced any time the machine requires less than full performance, by having a major part of the machine’s cycle matched to its operation, energy is saved and noise is reduced. Copyright © 2019 Delta p Hydraulics. All rights reserved.